Our refresher course takes you back through things that most people forget including gear assembly, ascents, descents, hoovering, mask skills, entries, exits, buddy skills and more! Whenever you need it! We will schedule the refresher with you and our instructors on an as needed bases. Our pool is in the building! Provide proof of previous certification from SDI, PADI, NAUI, SSI, TDI, IDEA or equivalent. 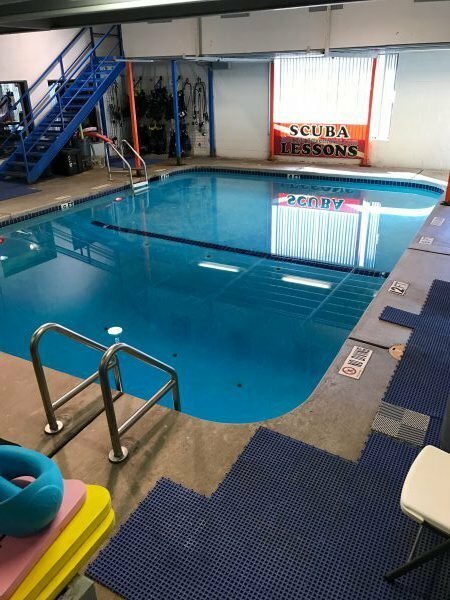 Requirements: Show proof of at least Open Water Diver Certification from SDI, SSI, PADI, NAUI, IDEA, NASE or equivalent Diver must provide their own mask, fins, snorkel and boots for this course.